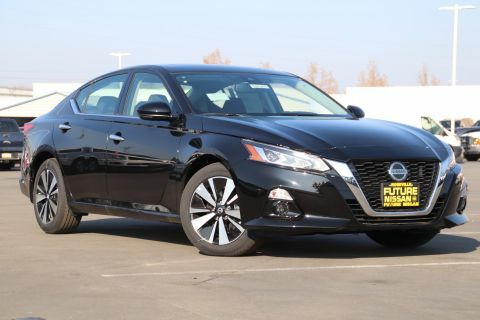 Nissan’s Altima is a favorite with car buyers year after year. 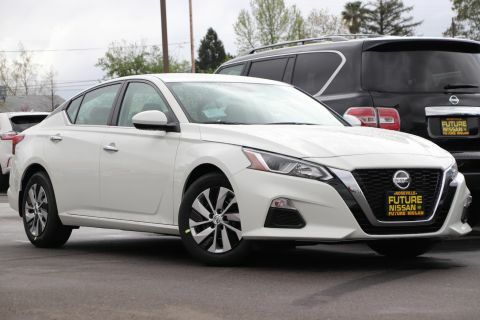 The 2019 model adds a slew of new tech and features that make the Altima more attractive than ever. It comes loaded with a base 2.5L direct-injection 188 horsepower engine. 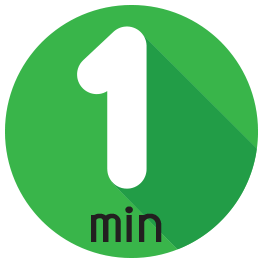 This engine powers a vehicle that is not only fun to drive, but also impressively fuel efficient and economical. 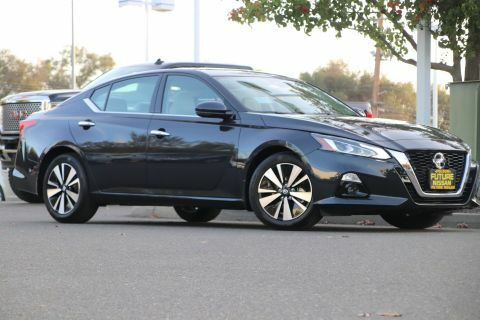 In fact, the new Altima delivers an EPA estimated 28 MPG city and 39 MPG highway. If you love an enhanced and powerful driving experience, the alternate VC-turbo engine might be the perfect choice. VC-turbo can alternate between fuel efficiency and road performance with its stunning and innovative design. 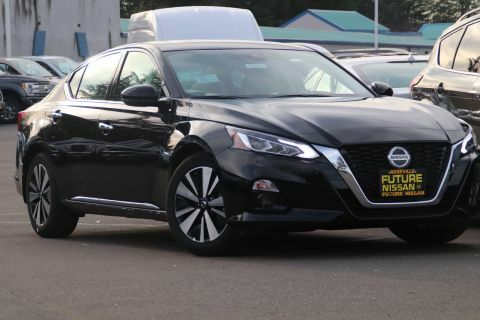 Altima isn’t just a fair weather friend either; its available all wheel drive can track the road environment giving you an edge in different terrains and weather conditions. 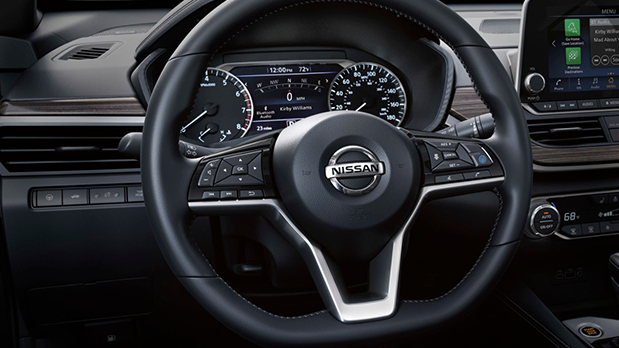 An included traction control function and 10 standard interior airbags also help give you peace of mind on the road. 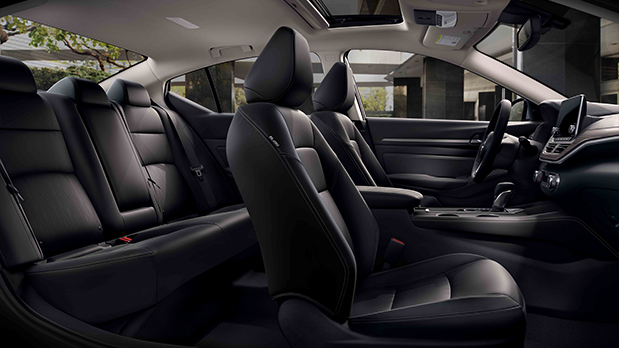 You’re certain to appreciate Altima’s generously appointed interior space. 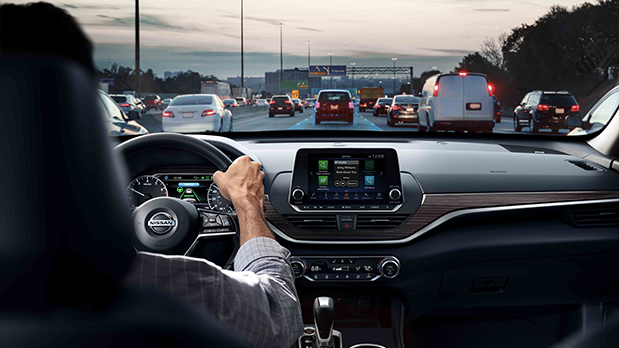 The included Android Auto connectivity means you’re never far from your favorite music. 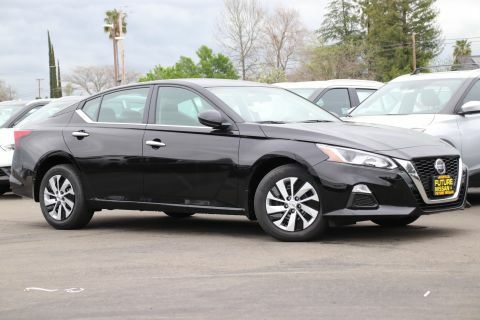 The Altima’s rear 60/40 split seats are can be collapsed in a snap for streamlined cargo loading. 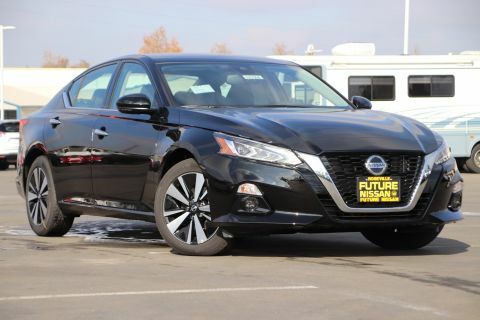 Getting to the trunk space is just as easy, and Altima has a pass-through opening for oblong baggage. 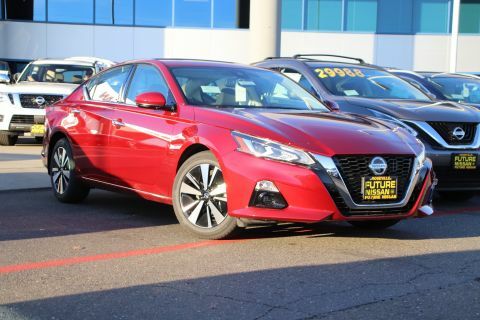 The rear cargo volume is a roomy 15.4 cubic ft..
We adore the Altima’s contemporary look that pays homage to Nissan’s racing heritage. This charismatic design can be upgraded with features such as the SR’s optional tuned steering and boosted 19 inch wheels. 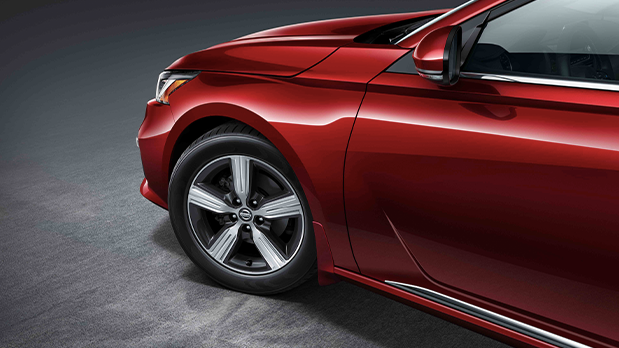 The sloping body profile and contoured body paneling are head-turning additions for 2019. 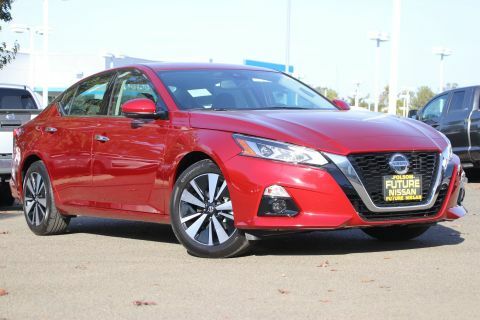 Altima also has some bold paint choices including vivid orange, red, and blues. 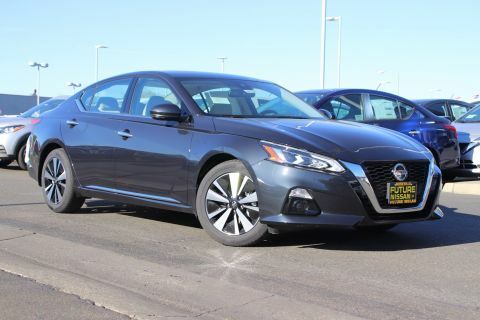 Let’s check out the models and special features available on the 2019 Nissan Altima. 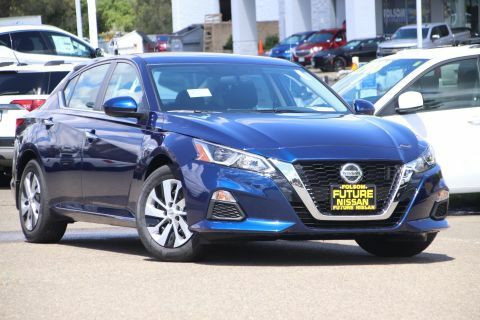 First up is the Altima S which includes a large 8” console touchscreen, an automatic emergency braking system, intelligent forward collision alert, and a practical backup camera. 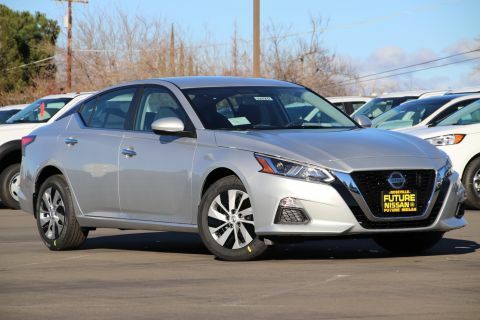 The Altima SR is for those who appreciate true driving performance. 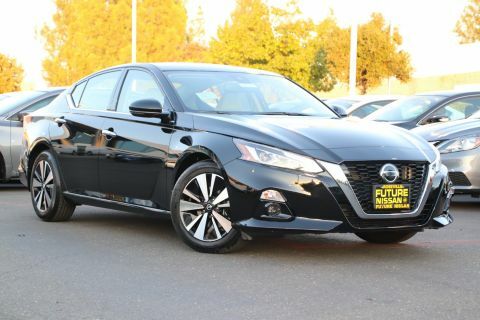 It boasts racing inspired features like paddle shifters and an available tuned suspension system. 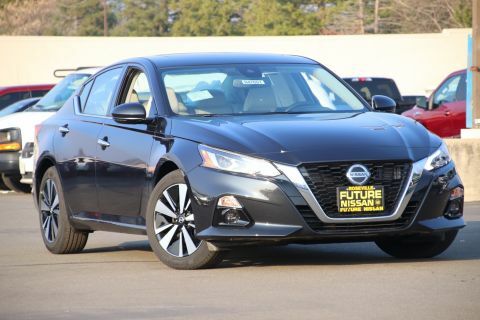 Altima SV sports some truly inspiring active driving tech. 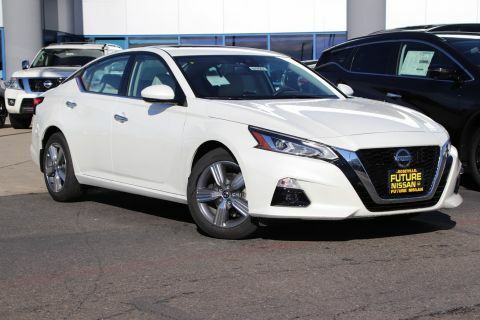 The Propilot assist is an advanced form of cruise control included with SV that can actively keep distance with the car ahead and even brake if cars ahead begin to decelerate. 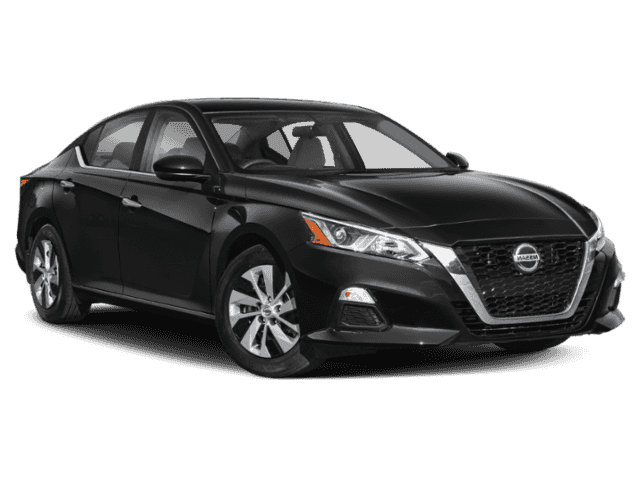 The Altima SL adds luxurious options such as a Bose audio system, onboard navigation, and upgraded sport cloth seating surfaces. 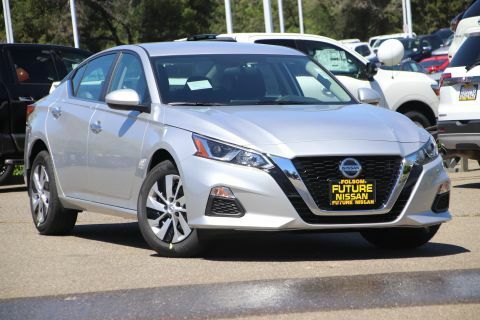 The Platinum model stands out with cabin accent lighting, stunning moonroof, and a memory driver’s seat for longer drives. 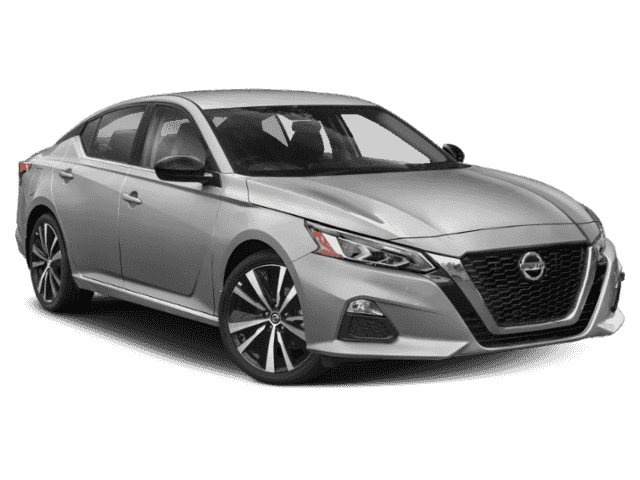 Finally, Nissan’s innovative Variable Compression engine can be yours with the SR VC Turbo, Platinum VC Turbo, or modern Edition One VC Turbo trims. 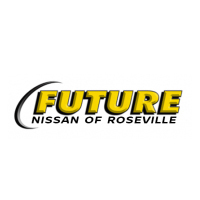 Future Nissan of Roseville is committed to serving the greater Sacramento area with integrity and quality. 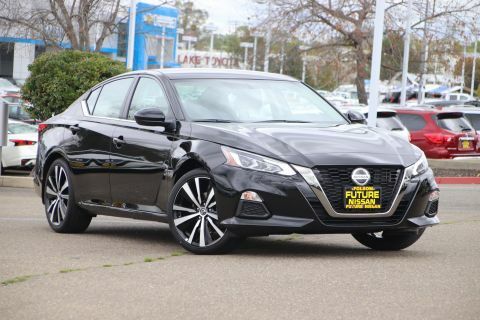 Whether you’re traveling from near Elk Grove, Yuba City, or Folsom you can expect to find your next new or pre-owned vehicle at our dealer showroom. 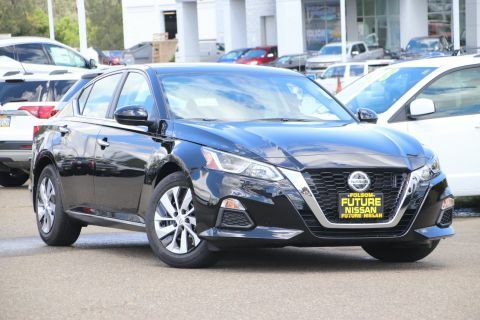 Our wide inventory combined with our professional sales and financing departments make leasing or buying your next vehicle a breeze. 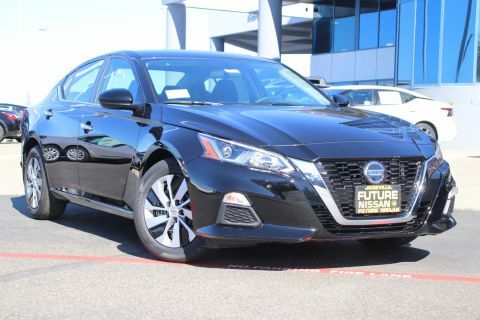 Get into your 2019 Altima now at Future Nissan of Roseville. 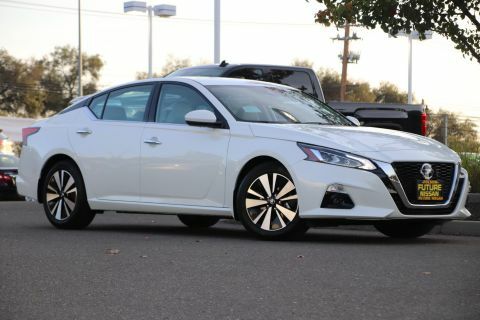 It’s available to test drive today and is for sale with a starting price of only 23,750.